Cryptocurrency exchange Binance is a relatively new exchange, which began work in 2017, and during this time, it has gained popularity among users. Now the Binance exchange is included in the top 29 exchanges on the daily volume of trades. The headquarters of the Binance exchange is located in Shanghai and is headed by Changpeng Zhao. In August 2017, the Binance exchange announced that Yi Hye, co-founder of OKcoin, had joined them. Yi Hye is one of the most successful and influential people in China’s online economy. This event positively influenced the growth of popularity of crypto-exchange Binance and their domestic currency Binance coin. At once after announcing the cooperation of Yi Hye and the Binance exchange the value of Binance Coin has risen by 40%. Binance exchange has its official site with a domain name www.binance.com. The domain was registered on April 1, 2017. The site Binance has a very progressive, but at the same time a simple site, which is available in 6 languages, among which there is a Russian. To be honest, the translation of the site into Russian is a bit “crooked”. 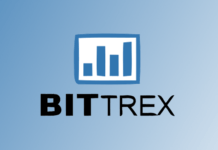 The interface of the site is clear, all similar to other cryptocurrency exchanges. The “Sign in” and “Registration” sections are located in the right corner, where you can change the language of the site. That’s what exactly you can praise the developers, so it is for the section of current news and sweepstakes, free cryptocurrency – this field we have highlighted a red frame. Photos of the site see below. To pass the registration on Binance, you need to go to the site and click on the “registration”, and then you will be taken to the registration page. I would like to mention one trifle, which we remember. Immediately introducing your email and generating password to enter the exchange, by the way, the password should contain uppercase and lowercase letters, as well as numbers, you will need to pass captcha. Captcha on Binance consists of two stages: first you need to hold the mouse cursor on the desired field, this action is very similar to what you need to do to answer the phone call on iPhone, and after you enter the characters from the picture. To confirm your email address, you will be sent a link to confirm the address you want to go to. By clicking on the link, you activate your account. At each new entrance to the personal cabinet, you will need to pass the captcha, which we wrote above. Verification on Binance consists of 3 stages. The first stage of verification on Binance you pass, when you confirm your postal address – the first step of verification allows you to withdraw no more than 2 bitcoins per day. To pass the second stage of verification, you need to click on the inscription “Complete identity check”, which is under the average Ruby. However, this function will be closed initially. To access it, you need to either confirm your phone number or connect to Google Authenticator. If you do not live in China, or do not have kart any of the Chinese operators, the function of connecting the phone will be unavailable. 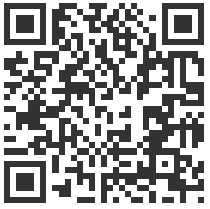 Therefore, you will need to support the google authenticator code. To pass the second stage of verification will need to make a little more effort, and collect a small package of documents, among which: scan passports 1 and 2 pages, and need to make your photo with the identity card that you hold in your hands and next we need to make a signature on a white leaf. However, you will find detailed instructions with illustrations. 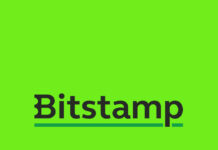 After completing the second step of verification, you will be able to withdraw up to 100 bitcoins per day. 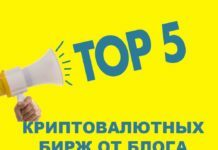 To open even more opportunities, you need to pass the 3rd stage of verification, which occurs by communicating with the support service. 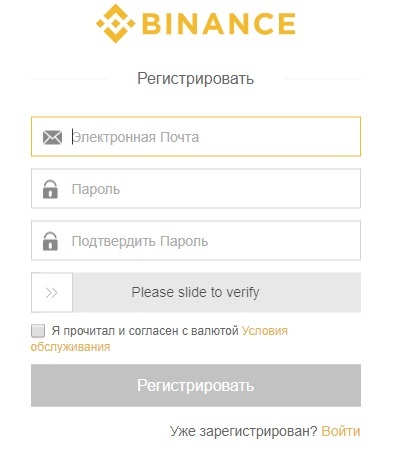 Remember, we said that the translation of the site binance into Russian is a bit “crooked”, so now you have to understand why. To make a deposit on the cryptocurrency exchange Binance, you need to hover the mouse cursor on the “asset” and select “withdraw cash from the deposit” under the menu. After that, you will get a list of all possible currencies in which you have the opportunity to make a deposit. This fact is also worth noting, because before you can replenish 44 cryptocurrencies. Binance exchange does not give its users the opportunity to replenish the account fiat money. Binance exchange gained popularity thanks to 2 very important things: due to its low commission, which is 0.1% of the transaction and thanks to the technology of order processing. The technology of execution of orders on the stock exchange Binance able to process 1.4 million orders per second is impressive, isn’t it? To start trading on the Binance exchange, you need to select the section “Shopping Center”, where it is located, you can see the photo above. After that you find yourself in the real world of trading. In the picture, you can see the top part of the trading cabinet. 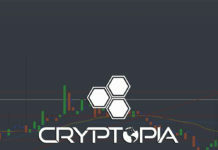 At the top, you can see the list of trading pairs by clicking on one of them; you will see its chart and a glass of orders. For example, we showed arrows on the chart how this bunch works. If the trade pairs listed above are not the one you need, click on the “More” button and get a list of all allowed trading pairs on the Binance exchange. The window of orders is right below the chart, it has this kind. 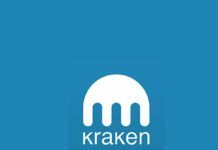 On the Binance exchange, traders are available 2 types of orders: Limit and Market, in the review of the Kraken exchange we wrote what they differ. You can also read how to use them. When placing a limit order, you need to enter the opening price, the number of cryptocurrency and click on the Buy or Sell button. In market trade, only the field for specifying the number of cryptocurrency will be available for filling. In conclusion, I would like to say that the Binance exchange made a very good impression on us, and in the future, we will definitely use their service. By the way, if you have not already made a permanent exchange for cryptocurrency, the Binance exchange will be the best option for you. I would like to note that the main volumes of trading on the Binance exchange occur in pairs NEO/BTC, GAS/BTC, ETH/BTC and BNB/BTC. BNB is a homegrown currency of the exchange called Binance Coin, and with its help, you can make a purchase of services provided on the exchange. Next articleKraken wallet. Review. Registration.